DANA POINT — The Orange County Board of Supervisors is scheduled to pick a management team for Dana Point Harbor’s 980-slip West Marina at its April 17 meeting — and the decision could end the 36-year run of current management team, TBW Co. According to a report submitted by OC Dana Point Harbor, Dana Point Marina Co., which manages the 1,500-slips in Dana Point’s east marina, is being recommended to take over management operations at the west marina, beating out four other companies — including TBW — for the job. The situation has frustrated Leslie, who questions why the board would have the desire to push out one of the original leaseholders at the harbor. In 1975, TBW Co. wrapped up construction and development of the harbor’s west basin, completing the area’s docks, parking lots and infrastructure. As one of a handful of companies involved in the original development of the harbor, TBW Co. was awarded a 30-year lease by the county. The lease expired in 2005. Some of the main leaseholders — including companies such as Vintage Marina Partners (the launch ramp, parking and dry boat storage area operator) and Dana Point Marina Co. — had seen their master leases expire in 2001. At that time, the county decided to not renew the leases, instead bringing ownership in-house along with the plans for future harbor renovations while creating operating agreements with those companies to manage the property — without the responsibility of owning or redeveloping the land. Dana Point Marina Co. and Vintage Marina were handed 20-year leases in 2001, while TBW was only given a five-year lease in 2005. That lease expired Oct. 31, 2010, and the company has been operating on a month-to-month basis since. In September 2010, the Board of Supervisors issued a Request for Proposals from companies interested in operating the west marina. TBW Co., Dana Point Marina Co., Vintage Marina Partners and Almar Marinas submitted proposals. 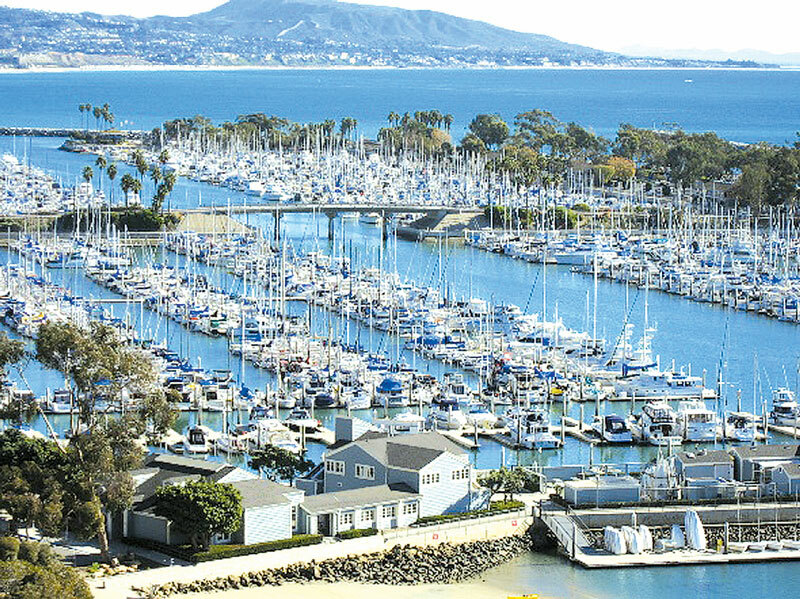 Dana Point Marina Co.’s proposal showed the highest cost savings in the first year of operating the marina, but Almar Marinas reported the highest cost savings estimate over a five-year operating period. According to the report, an evaluation panel was formed to pick the best management team. The panel consisted of representatives from OC Dana Point Harbor, the CEO’s Office, the Orange County Sheriff’s Harbor Patrol, and the city of Oceanside Harbor and Beaches department. “Firms were evaluated based on their technical expertise, cost controls, key personnel, approach and understanding of types of services required, past experience on similar projects and staff and resource availability to perform services,” the report stated. The four companies were judged on a written proposal and a presentation given to the panel, with Dana Point Marina Co. being the preferred management team, Almar Marinas the first alternative and TBW Co. the second alternative. Bruce Heyman, who heads Boaters for Dana Point Harbor, one of the groups representing recreational boaters in Dana Point, questioned how the evaluation panel was chosen and wondered why a boating group-affiliated representative was not on the panel. Leslie, who has worked for TBW for 22 years, wondered how the categories in the evaluation were weighted. OC Dana Point Harbor director Brad Gross declined comment on the issue until after the Orange County Board of Supervisors discusses the matter. If the Board of Supervisors approves OC Dana Point Harbor’s preferred management team, Dana Point Marina Co. will have the first option to negotiate for a four-year lease with the county, including a fifth year option.